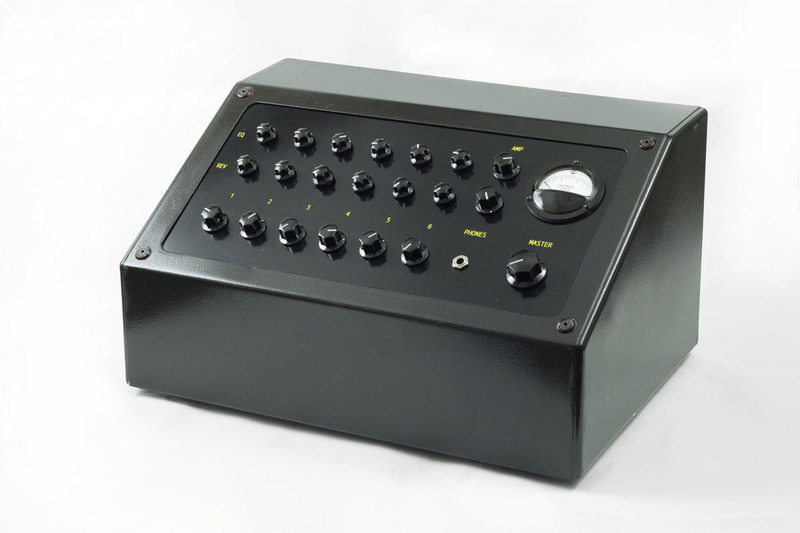 The Diatherapuncteur Tube Mixer is a 6 channel unit with built-in spring reverb, “tilt” equalizer, headphone amplifier as well as separate outputs for the mix (transformer balanced), monitor, reverb, and channel direct-outs. The idea for this unit came about as Larry was looking for a stage mixer to go on tour with Nick Cave. He is playing keyboards and effects therefore a line level mixer was needed– channels 1 and 2 offer a slightly higher gain and can accept guitars as well. 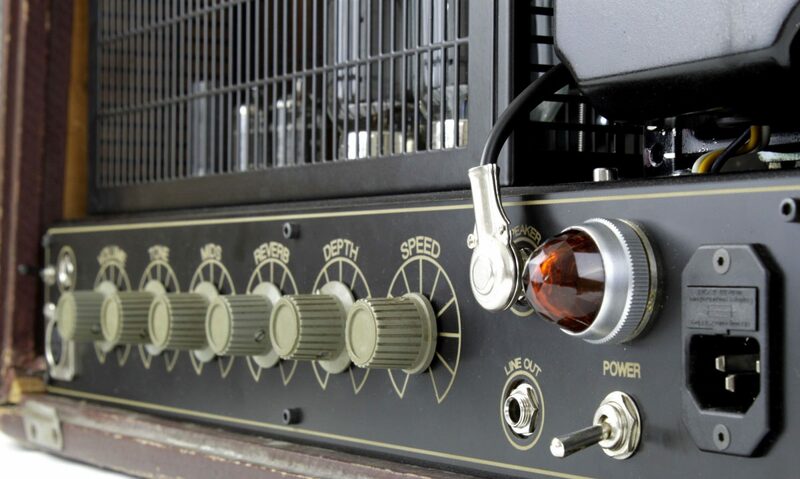 The circuit is relatively simple with a regulated power supply and ECC82s providing the channel gain. The signal is then led into a passive “tilt” EQ to adjust the frequencies. This allows for a smooth, but dramatic if needed, change of the original character. 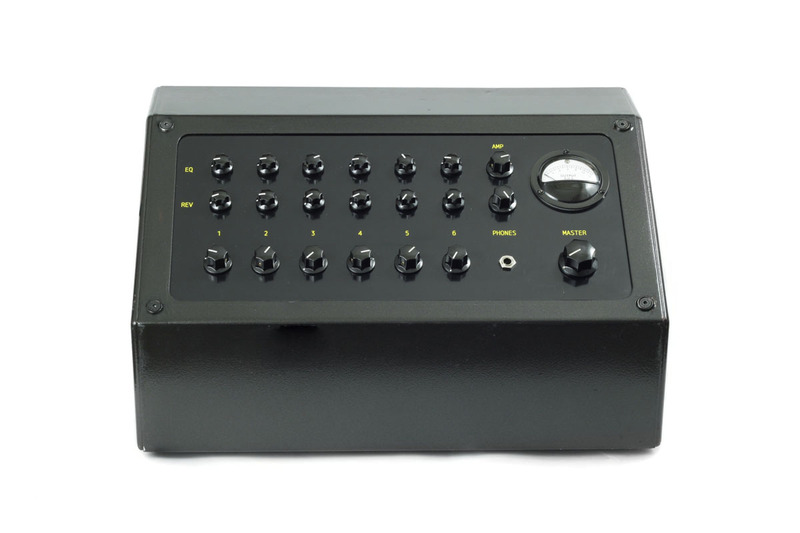 The signals are then mixed together with the reverb return (or this signal can be sent separately to the FOH) and amplified again by the driver circuit to allow for a transformer balanced output. 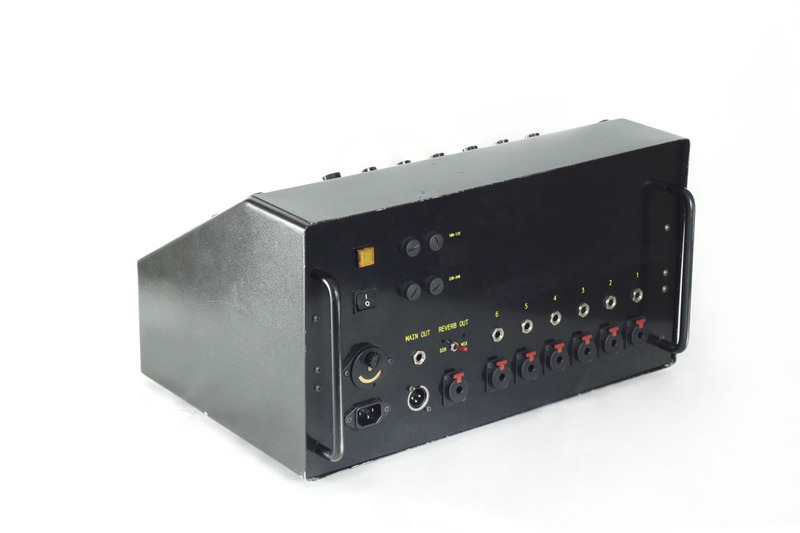 As this is primarily a stage mixer, the headphone output was taken before the master so that it is entirely independent, thereby making headphone listening a bit easier on the stage. The case comes from the same Diatherapuncteur model as the previous equalizer I made, this time inverted for table top use. All the internal structure and front and back panels were built separately.